We're happy to announce our inclusion in Gartner's recently released "Cool Vendors in Unified Communications, 2015" report for OnSIP InstaPhone, available in the Salesforce AppExchange. The Cool Vendor distinction was given this year to five providers for their advancements in UC. The report focused on providers leveraging the latest video communications technologies, including Web Real-Time Communications (WebRTC). Gartner selected InstaPhone in Salesforce for its ability to conduct high-definition video sessions while achieving full integration with the Salesforce platform— all utilizing WebRTC and requiring no downloads or plugins. Video calls can be received by InstaPhone directly from a business website via OnSIP InstaCall buttons, available for free with an OnSIP account. With unprecedented interoperability, InstaPhone in Salesforce can make, receive, and transfer calls to and from any SIP phone, softphone, webpage, or Public Switched Telephone Network device. The application enables agents to maximize their work efficiency with automatic Salesforce record lookups, call logging, and enhanced caller information display (such as what webpage the caller viewed when s/he initiated the call). OnSIP is a big proponent of WebRTC and is excited that Gartner is highlighting the open standard in its latest research. Next month, our CTO John Riordan will be giving a keynote entitled “The Future of WebRTC for Business: Beyond the Typical Use Case” at the WebRTC Conference and Expo, May 12 - 14, 2015 in Miami, FL. Just last year, Riordan was named a WebRTC Pioneer by the event organizers, WebRTC World (TMC). 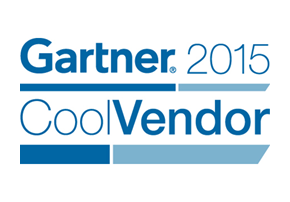 Gartner’s Cool Vendors reports acknowledge over 400 companies that have developed novel solutions in cloud computing, social, mobile, and information technologies. Each company is chosen for its potential to challenge conventional standards and influence IT investment. We've been highlighting Gartner's industry-leading reports on our own blog throughout the year. Thanks to Gartner for including us in the report! 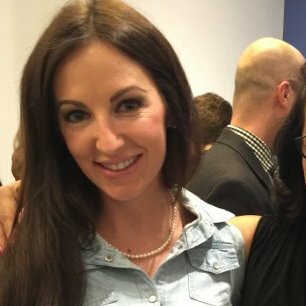 We look forward to more of their studies in the coming months. For more information about our business VoIP solutions, click here.